Driving Directions: Take Jefferson Park Ave. off of University Ave., Carrollton Terrace will be a left turn off of Jefferson Park Ave.
Not Allowed: No smoking, no pets. House with two suites for rent. Walk/ride to Central Grounds and UVA. 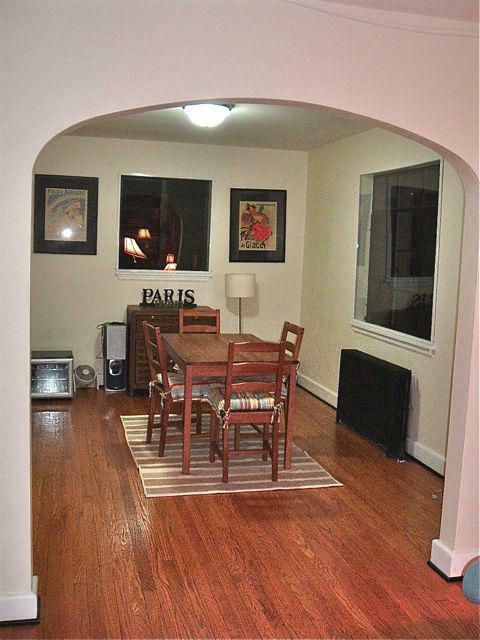 Main Floor has hardwood floors, 3 Bedrooms, 1 Bath Living Room, Kitchen, Dining rooms. 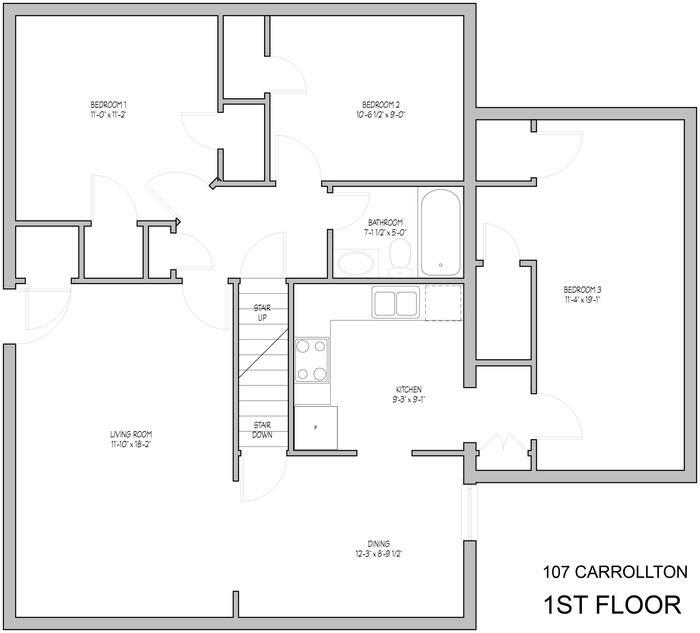 Lower floor has newly renovated kitchen and bath with new flooring through out and 2 additional bedrooms. Separate laundry facility, grassy back yard, off-street parking. No pets, no smoking. Utilities not included. Rent based on whole house. 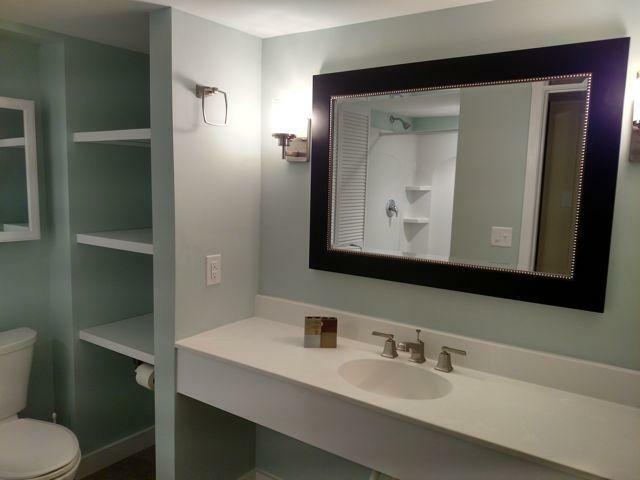 Two floors can be accessed through interior or separated and rented individually. 5 BR 2 Bath House. 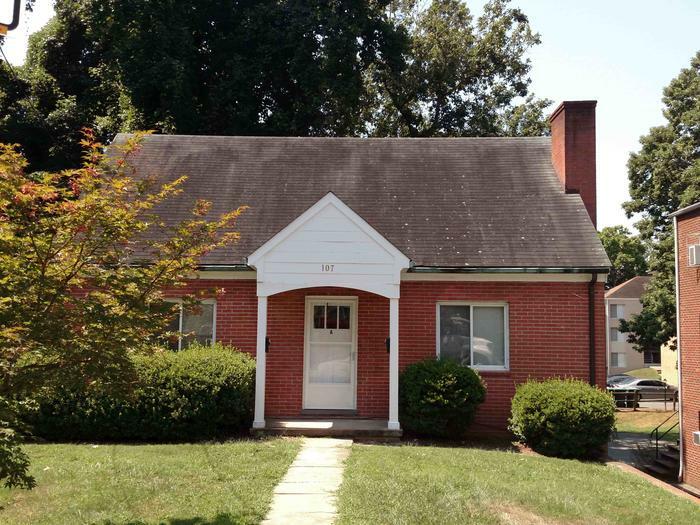 Main floor has 3 Bedrooms, 1 Bath, Living, Kit, Dining rooms with hardwood floors. 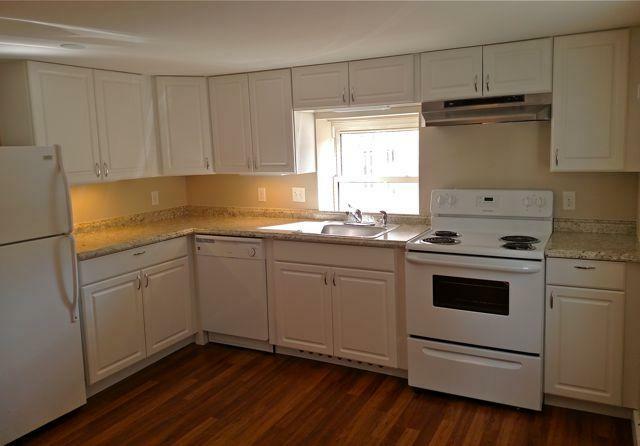 Lower level has 2 BR 1Bath with beautifully, renovated Kitchen and Bath, new floors in Living Room, Dining Room and Kitchen. Walk/ride to Central Grounds and UVA Medical Center from Carrollton Terrace. 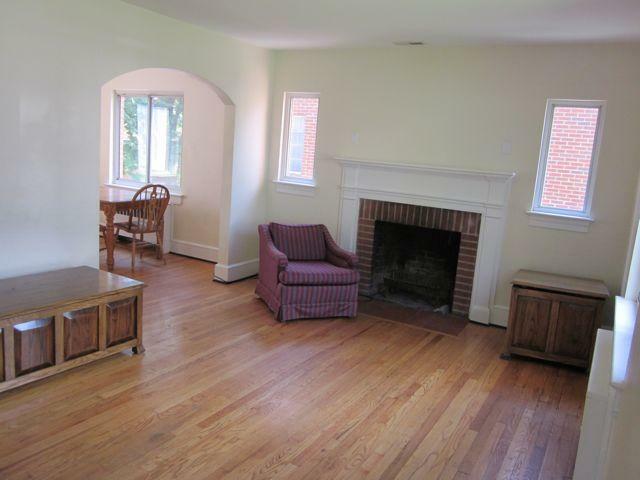 Large living room and dining room on first floor with separate kitchen and living room.